Golf Adventure Guides Blog - Plan your own golf trips and save! The print version of the combined Ireland & Scotland Golf Adventure Guides (2018 edition) is now available. 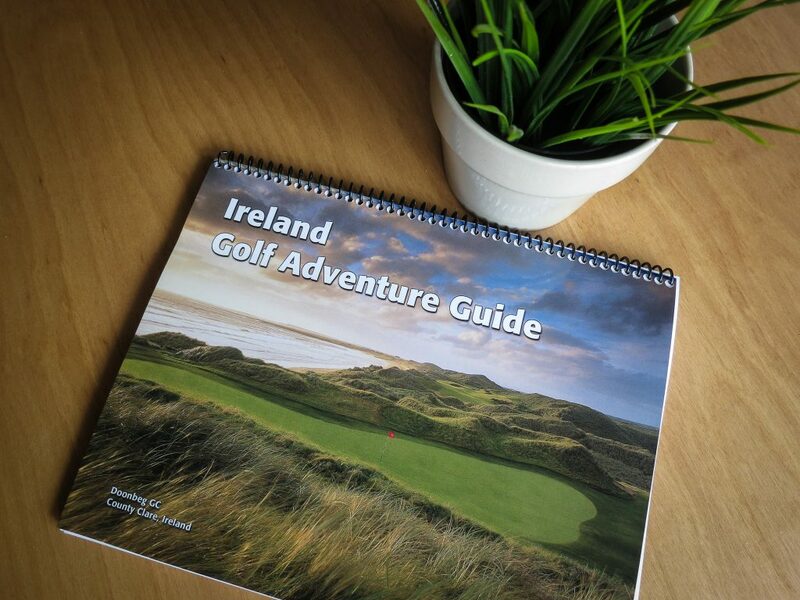 A combined 76 pages, the printed version contains both the 2018 Ireland Golf Adventure Guide and Scotland Golf Adventure Guide in one compact, spiral-bound package. 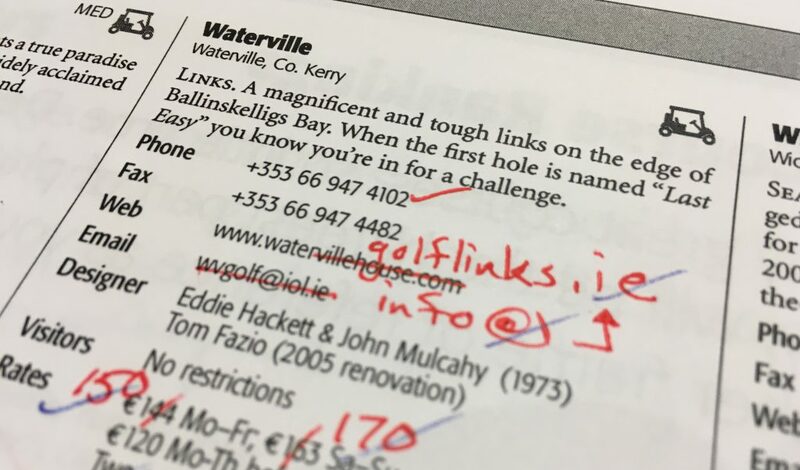 Flip it over for the Ireland Golf Adventure Guide. The digital versions of the guides (included when you purchase the printed version, by the way) are full color inside — the printed guide is black & white inside. You get the best of both worlds when you spring for the printed guides. A lovely printed document containing both Ireland and Scotland guides for easy, quick reference in addition to full access to the digital PDF versions for quick online access to golf course and accommodation websites (and more) via the hyperlinks throughout. If you’ve already purchased a digital PDF version of either the Ireland or Scotland Golf Adventure Guide, log into the Customer Download Center to purchase the print version (includes both guides!) for only $20. The 2018 editions of the Ireland Golf Adventure Guide and Scotland Golf Adventure Guide are now available. All new purchases will receive the updated 2018 editions. 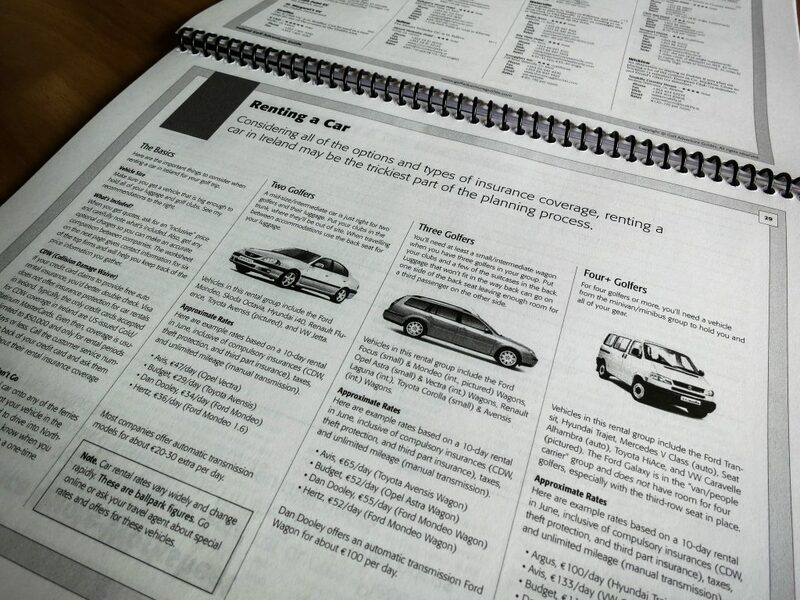 Customers who purchased a previous PDF version of the guide can download a free update to this latest edition. 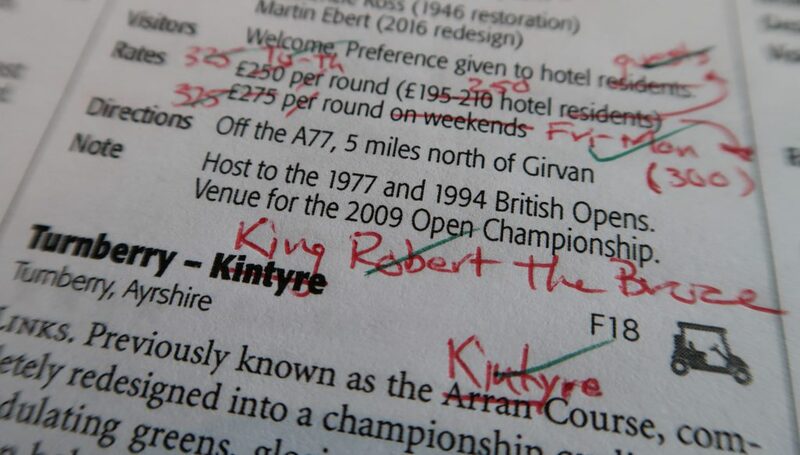 This is just one of the many advantages of purchasing one of my guides. If you buy a travel guidebook that was printed sometime last year, or you already own one, I can guarantee that a good portion of the information in it is out of date and/or incorrect. By publishing my guides digitally, I can easily deliver you the latest — and most correct — information. And, even after you’ve made a purchase because you get free updates you’ll always have access to accurate information when you plan your next trip. 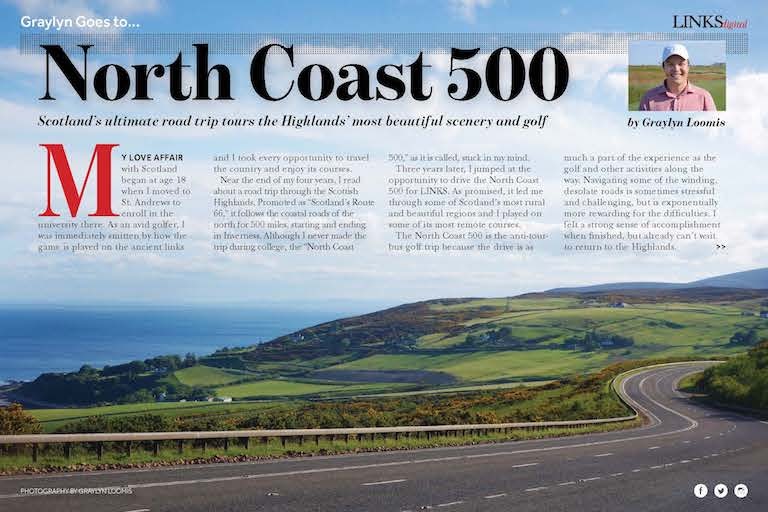 The North Coast 500 is Scotland’s answer to Route 66, the new scenic route showcasing the fairy-tale castles, beaches and ruins. Of course, Graylyn’s angle is to cover the golf opportunities that await along the way. Enjoy the ride! 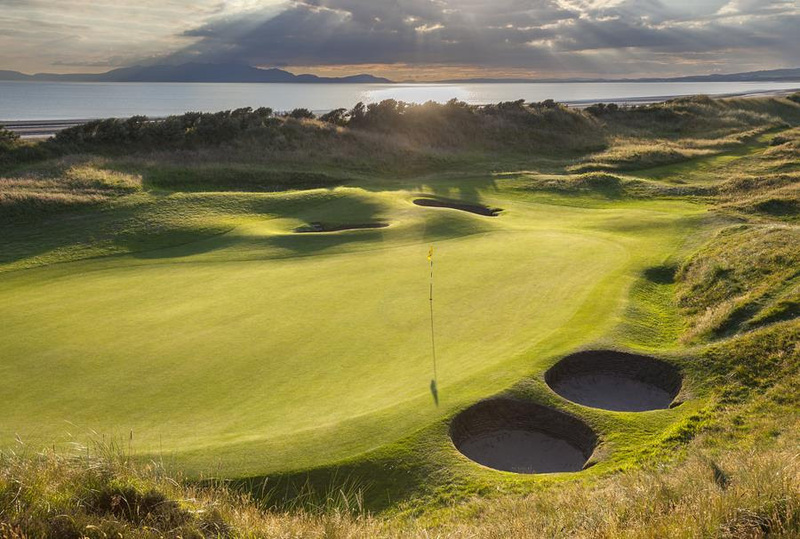 Spectacular links land and dunes. Check. Flattering, low sunlight. Check. Talented drone pilot and video editor. Check. Enniscrone Golf Club has always been one of my favorite courses in Ireland. After watching this video, I think you’ll see why! Add in Carne Golf Links and Co. Sligo Golf Club and you have the beginnings of a great Ireland Golf Adventure itinerary. Enjoy. The print version of the combined Ireland & Scotland Golf Adventure Guides (2017 edition) is now available. 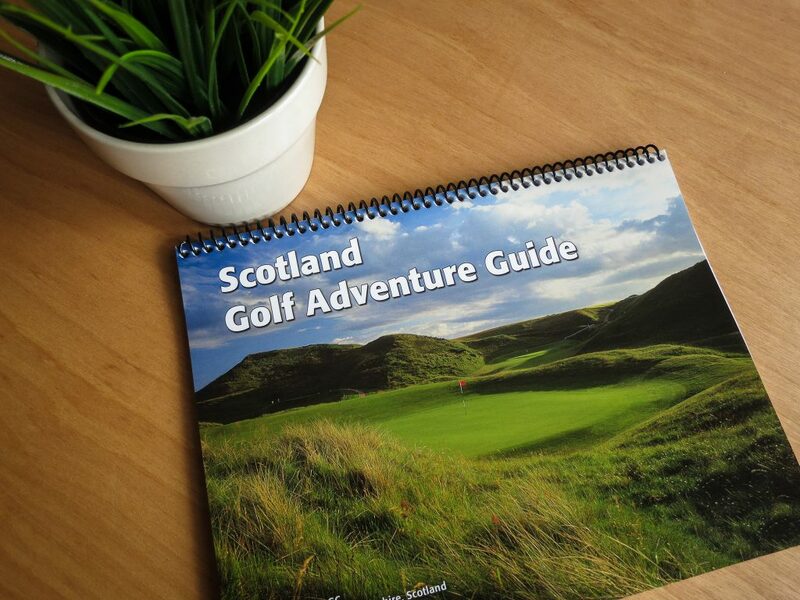 A combined 76 pages, the printed version contains both the Ireland Golf Adventure Guide and Scotland Golf Adventure Guide in one compact, spiral-bound package. It’s not all about the Guinness anymore. The craft beer scene in Ireland is exploding … and might be getting out of control! The 2017 editions of the Ireland Golf Adventure Guide and Scotland Golf Adventure Guide are now available. All new purchases will receive the updated 2017 editions. 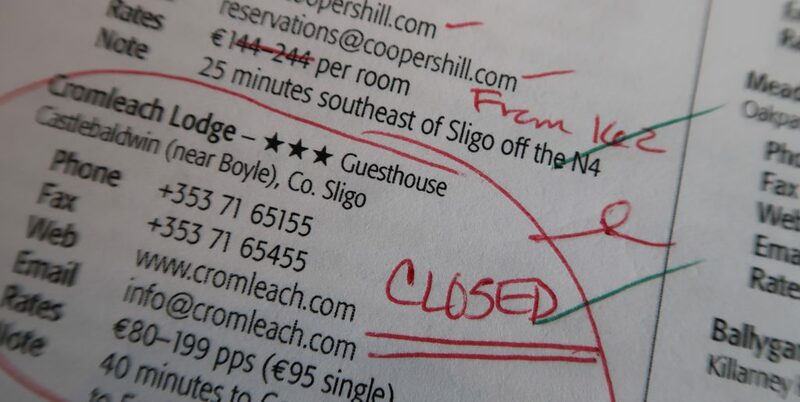 If you buy a travel guide book that was printed sometime last year, or you already own one, I can guarantee that a good portion of the information in it is out of date and/or incorrect. By publishing my guides digitally, I can easily deliver you the latest — and most correct — information. And, even after you’ve made a purchase, because you get free updates you’ll always have access to accurate information when you plan your next trip.